As most of you know, CQ offers a free pull and hold service. We thought it would be helpful for you to know how the service works and provide details of the deadlines and tasks involved in providing the service. We hope we can show how important it is to work within the parameters and constraints of the realities of our industry and the current retail environment as it relates to comic book entertainment stores. First, lets address how orders are placed for our products. 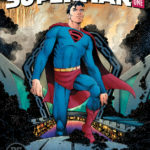 All comics, trade-paperbacks, toys, and collectibles are placed in our distributor’s catalog, Previews, three months prior to most of the comics appearing on the stand. 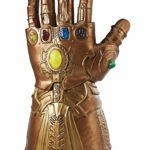 Within thirty days of the Previews catalog appearing on our shelves, we have to place our initial orders for products which will not arrive for 60 days(Note: many other collectibles such as toys and statues, might take 3-8 months to arrive as many of them ship on a “slow boat” from other countries.) Most of these products, once ordered, have the numbers set. This means we are ordering thousands of dollars of merchandise each month that has no definite arrival date which makes for some interesting cash in/cash out headaches. Comic books are an exception in the sense that, 3 weeks prior to the most of the major comics appearing on the shelf, we have what is called FOC (final order cut-off). This is the date that numbers for Batman, Justice League or the new Conan have to be finalized. We can change the number up or down. After this date, we cannot increase or decrease our comic’s numbers. Our loyal subscribers help us in determining how much interest in a particular title we should order. Other variables that help us determine how many books to order include our history of sales for each title. We spend hours each month looking at this sales data on every title and every number of each title. Attempts are made to forecast an need for more copies due to a story line, a creative change or a guest appearances of other characters. Next week in Part 2 we will look at the work involved weekly in processing the inventory as it enters our store. New Production Run! Chucky has been revived! Due to a mishap at the Play Pals’ factory, Chucky has been given a new lease on life and a new opportunity to take over an unsuspecting soul. The Child’s Play 3: Talking Pizza Face Chucky features an all-new head sculpt, depicting Chucky’s mutilated face after a run in with the Grim Reaper’s scythe in the “Devil’s Lair.” Just as he did in the films, Chucky has lots to say from his trademark “Hi, I’m Chucky, and I’m your friend till the end!” to far more sinister phrases. Sporting his signature “Good Guys” overalls and stripped shirt, Chucky features 11 points of articulation, his trademark orange hair, and realistic glass eyes. He comes complete with a gun that fits neatly into his right hand. From Bandai Hobby. An amazing vehicle used by Bulmato search for the Dragon Balls! It includes transforming abilities that allow it to change between motorcycle into a bi-pedal and trike mode. Also includes a Bulmafigure that has different hand and leg parts to allow her to pilot the controls for each mode and display base. Runner x 16, stickers, water decals, springs x 2, Instruction Manual. Measures about 8″ tall. From Bandai Hobby. The long awaited Gun EZ fromMobile Suit Victory Gundam has arrived as a RE/100 model kit. The simple structure allows for easy assembly which makes it ideal for building your own squad of Gun-EZ’s. The units Beam Saber is stored in the shoulder and the Beam Bazooka is mounted on the rear armor. A Beam Shield made of PET materials with a hologram finish is also included. Included with the model: Beam Rifle x 1, Beam Saber x 1, Beam Shield x 1, Beam Bazooka x 1, Runners x 12, Stickers x 1 and Manual x 1.
artwork for shelf reference. Designed by Yuri Tming and sculpted by Gentle Giant Studios! The critically acclaimed 12-issue mini-series is collected. Scott Free is the greatest escape artist who ever lived. So great that he escaped Granny Goodness’ gruesome orphanage and the dangers of Apokolips to travel across galaxies and set up a new life on Earth with his wife, the former Female Fury known as Big Barda. Using the stage alter ego of Mister Miracle, he has made a career for himself showing off his acrobatic escape techniques. He even caught the attention of the Justice League, which counted him among its ranks. You might say Scott Free has everything…so why isn’t it enough? Mister Miracle has mastered every illusion, achieved every stunt, pulled off every trick-except one. He has never escaped death. Is it even possible? Our hero is going to have to kill himself if he wants to find out. SPIDER-VERSE united every Spider-Person ever – now SPIDER-GEDDON will destroy them all! The Inheritors have escaped their radioactive prison planet and made their way to the Marvel Universe. As the villains draw first blood, a whole Spider-Army must reunite to keep them at bay! Starring Spider-Man, Otto Octavius, Spider-Gwen, Miles Morales, Spider-Woman, Spider-Punk, the live-action Japanese TV Spider-Man, the Spider-Man from the new PS4 video game and many more Spiders – including some brand-new ones! Prepare to meet Web-Slinger, Spidey of the Wild West! May Parker: Spider-Ma’am! And more! But as the threat they face builds, things do not look good for our web-heads and wall-crawlers. The end of the Spider-Verse is here! Collecting SPIDER-GEDDON #0-5 and VAULT OF SPIDERS #1-2. From Eisner Award-winning writer-artist Darwyn Cooke and Eisner Award-winning colorist Dave Stewart comes DC: The New Frontier– a timeless tale of idealism that has become one of the most acclaimed superhero comics of the 21st century. This edition collects the original 6-issue miniseries together with the Justice League: New Frontier Special, and features over 50 pages of designs, sketches and preliminary artwork from the author. Bruce Banner is alive and on the loose – and now the entire world knows it. Soon the Hulk finds himself hunted once again – this time by the government, Alpha Flight, the mysterious Shadow Base…and the Avengers! Someone’s going to find him first, but which option is least bad? It might not matter, because Bruce has bigger problems. Something terrible has infected him. Something with unspeakable plans for humanity. And the only one who knows about this dark infection…is the Hulk! Meanwhile, Carl “Crusher” Creel was just trying to live. Now, to save what he’s built for himself, he must do the impossible. The Absorbing Man must kill the Immortal Hulk! But the Hulk is the one thing standing between the world of the living – and the Green Door! Collecting IMMORTAL HULK #6-10.